A credit score is just a number. But the reality is, it's a number that is used to rank you at various points in your life. When you turn 18 and become eligible to begin managing credit, that number will begin to fluctuate. Hopefully you will have good money management skills and your credit score will go up and never go down, but hey, life happens. If you want to check your credit score and see what it is there's a free way for you to do that. Your credit report is similar to a report card in school. On your credit report you will see your lines of open credit, how long they've been open, the credit limit and how they are currently being paid. You will also be able to see if they've ever been paid late i.e. past 30 days. The credit report used to be kept behind closed doors and you had to pay each time you wanted to see what was on your report. There is a service at annualcreditreport.com that will allow you to see your credit report once a year from all three credit bureaus for free. Once you look at your credit report, you might be curious to know what your or credit score is. Annualcreditreport.com does not give you your credit score and often one of the three credit bureaus, TransUnion, Experian or Equifax will offer you access to your score for a fee. But there's a nice way to get that for free also. You can get your free credit score from a service called Credit Sesame (partner link). 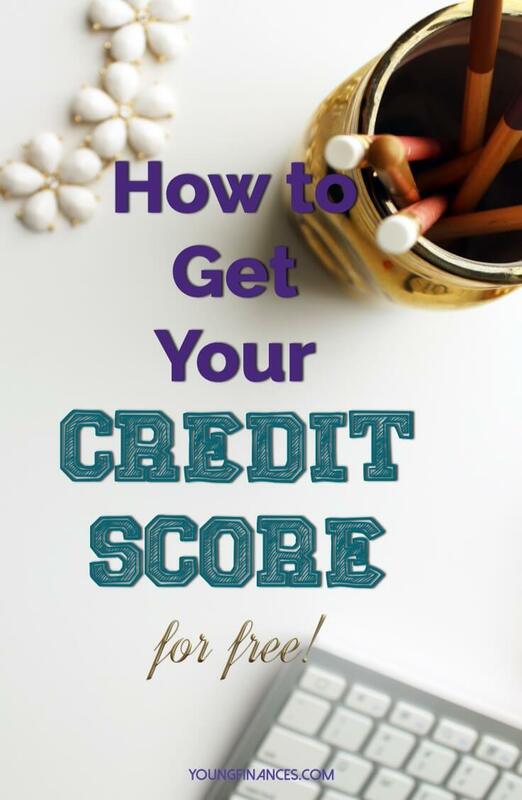 Credit Sesame is a trusted partner and they are one of the companies on my list of go-to resources for this very reason. 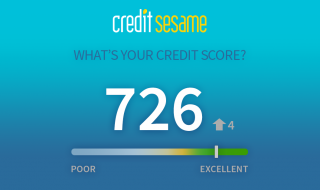 Credit Sesame will give you your free credit score each month. They allow you to see how your credit score compares to your peers and they suggest ways for you to build and/or repair your credit. I used Credit Sesame recently when I was shopping for an apartment. I wanted to check my credit score and my credit report to make sure there were no negatives on it. It's good to check your score and your credit report before shopping for a mortgage, a job, or of course, credit. Credit Sesame uses the same security measures as banks and other financial websites so you know that your information is safe. They offer this as a free service and they make money if and when you decide to use one of the services that they've recommended. You might be wondering "How does the Credit Sesame credit score compare to a paid service?" I actually had that same question. So I decided to pay a dollar for a free trial with one of the big three credit bureaus. I checked my credit score and it was with in 1 to 2 points difference from the Credit Sesame score. So keep up with your credit score and check out the free service from our partner Credit Sesame. Have you checked your score lately? When it comes to a credit score, size does matter. Lenders judge you by how high your credit score is. If you are looking to borrow money to buy a house, purchase a vehicle or an engagement ring, you will need a good credit score. If you want to keep your expenses low by qualifying for cheaper car insurance then you need "good credit". But what determines a good credit score versus a bad credit score? Most people are reluctant to divulge that information. So let's look at a few stats to help you determine if you have good credit. "Who died and made you king?!" I find the entire credit scoring process to be a bit biased. When investing, money managers will constantly tell you, "past performance is no indication of future results." The entire FICO scoring model uses old information to predict the likelihood that you will repay. The idea behind this Fair Issac scoring model is that history tends to repeat itself. If you pay on time consistently, you are expected to continue paying on time. If you have a habit of being late, you are expected to continue that habit. As someone who has a habit of winning like Rocky Balboa and changing my personal habits to become successful, I don't see this model as all that fair, Isaac. But nonetheless, that is what we have to work with. Are You the Average American? Your FICO score is determined by a several factors. Based on data collected by Credit Karma, the average American has a credit score in the range of 600-700. The average American has a mortgage that they pay monthly, credit card debt that they typically pay on time and a utilization ratio of about 30% on those credit cards that they carry from month to month. But you and I know that the goal is to be above average. After all, average people don't have assets like Kim Kardashian. What Makes an Above Average American? The above average American has a FICO score in the range of 700-850. They have little to no consumer debt, at least on paper. They typically pay their credit balance in full each month right before the statement is issued so that they have a zero balance reported to the credit bureau. They make use of cash back or travel reward cards to get the benefits of using credit without the fees that come with carrying a balance. What is your credit score? Have you taken the time to check it? There are three services that I use to stay on top of my credit score. I check up on changes to my credit report monthly for free with CreditSesame.com. Click here to check your credit score right now.